A transformative masterplan for an outward facing school with bold behavioural ambitions. 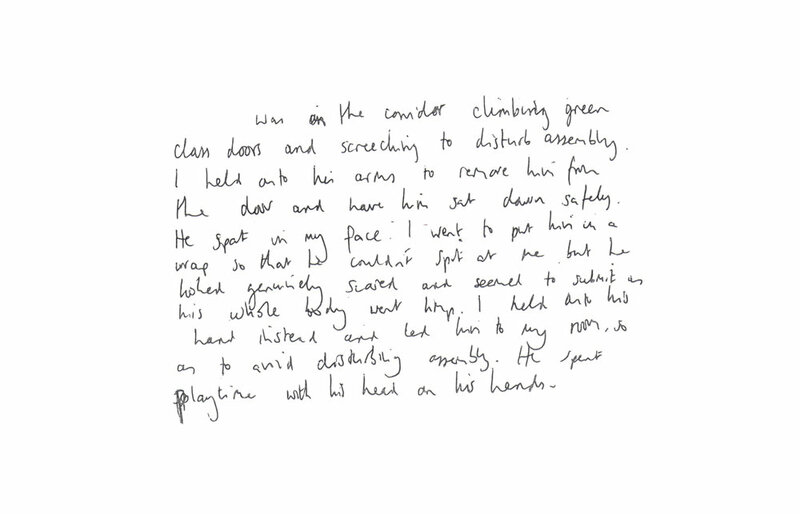 The Cherry Trees is a small primary school based in Bow, East London which caters for boys who have severe and complex behavioural, emotional and social needs. A new front of house area is the second phase of a wider masterplan resulting from a comprehensive study of the entire school learning environment and its impact upon pupils. The masterplan addresses issues associated with access, pupil management and work space. A short parade through the front garden leads to a welcoming entrance and lobby worthy of an outstanding academic institution, while a dedicated family area provides a safe and private space, supporting sensitive work with families and the wider school community. Delivered by Tower Hamlets’ in-house architects, the newly completed development takes its aesthetic cues from The Barn. The continued external black-cladding ensuring a more prominent presence within the community, while a warm internal material palette provides a light, spacious and robust environment which has the capacity to absorb the children’s restlessness and dynamism. Working closely with pupils, families, staff and the broader school community, the project was developed in response to unprecedented access and a deep understanding of the community’ specific desires and needs. Pupils are referred to The Cherry Trees via their mainstream school because their behavioural difficulties precipitate disruptions to their learning. As such, a key barometer of pupil progress is the frequency of major incidents. Analysis of the number and type of major pupil incidents over the course of two terms highlighted a strong correlation between major incidents and the ground floor corridor, confirming long held suspicions regarding dark, narrow and congested spaces associated with reprimands and subsequent interventions. 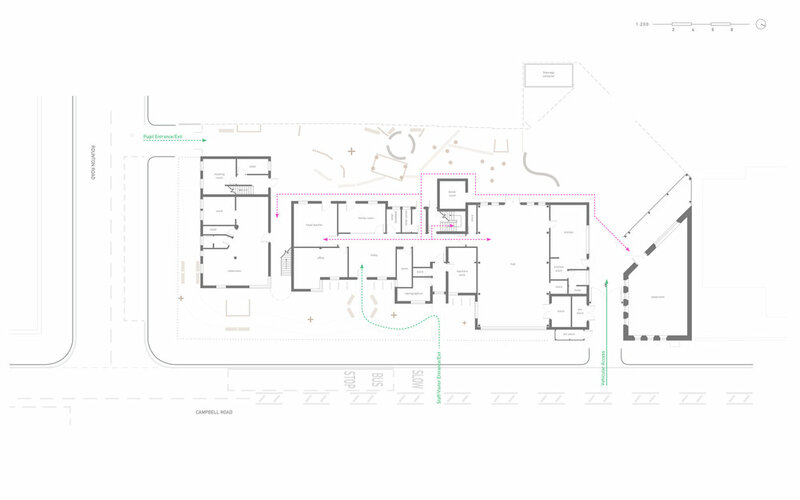 The revised plan incorporates the previous corridor into the lobby, eliminating entirely the associated problematic conditions and replacing them with contrasting qualities defined by generous views and co-operative working. The entire school is re-orientated so that the playground, a space in which very few major incidents occur, becomes the shared circulation route, placing an emphasis on play and freedom.